blue4nic wrote: 4. I'm not sure if I understand correctly, but you can get as many stones as you want, I think. After bringing the first mewtwo to the required level, only the stone was visible there. When I gave the stone to Mewtwo, my second Mewtwo appeared, which I should level. Therefore my question, if I have to use the stone first, so that I can level the next Pokemon? Or is this possibly a bug? As soon as you finish the quest, the stone will appear on the quest page. After re-entering the page, you get the next adopt to level. I can't say for sure but I don't think you have to use the stone first to get the next adopt. I feel so beat that I have to click nonstop or get really lucky just to get in on this..
You don’t have to use the item to get a new quest, just refresh the page once you receive the item. 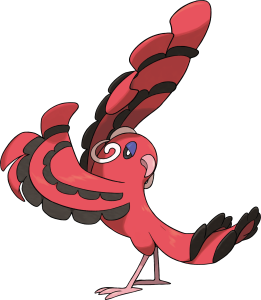 Also, it could very well pick a Pokémon that already mega evolved as the quest Pokémon. That part is completely random. Has the amount for levels been randomized too? I need about 560 and I see others are done with far less levels. Also, if we get one for quest already mega evolved, do we just keep leveling to get another stone? Congratz! You found $1,000 on the ground! yankeesrule3526 wrote: You don’t have to use the item to get a new quest, just refresh the page once you receive the item. Also, it could very well pick a Pokémon that already mega evolved as the quest Pokémon. That part is completely random. I level it up the second Mewtwo and I become the X-stone. Now I refresh the page and I must level it up my first Mewtwo. is it random which mega stone you get? got the y-stone the first time. and now I got the y-stone again...? or does it not matter for the quest which mega stones you get? Nerymon, It's random which stone you receive. If you only have one mewtwo then you will have to keep leveling it to get both stones. FairyPrincessCynthia wrote: Congratz! You found $1,000 on the ground! I find this to be cruel and unusual punishment for the crime of existing. Luna08 "If you can put the pieces together"
SO IT'S YOU I SHOULD BE MAD AT! Congratz, you won a pink scent. Congratz, you won a green scent. i finally have a key stone. where to find Roark? Uhm, can you think about increasing the chances of recieving Mewtwo from CE at least for a while? With the release of Mega Quest some people came back(including me) but I doubt they will be here for a long time. Which means when unlucky ones get Mewtwo eventually, they'll have a really hard time with the quest because only few people will be playing and even fewer people clicking on CE. where can i find Roark? and how will i know if i got a mewtwo? MrQuaza wrote: Uhm, can you think about increasing the chances of recieving Mewtwo from CE at least for a while? With the release of Mega Quest some people came back(including me) but I doubt they will be here for a long time. Which means when unlucky ones get Mewtwo eventually, they'll have a really hard time with the quest because only few people will be playing and even fewer people clicking on CE. That would be nice. I got lucky, owning an old Mewtwo, but I rarely see 2nd star Mewtwos in the Click Exchange... maybe the other prizes could be turned off, too, so no one feels frustrated by winning a scent or money...?